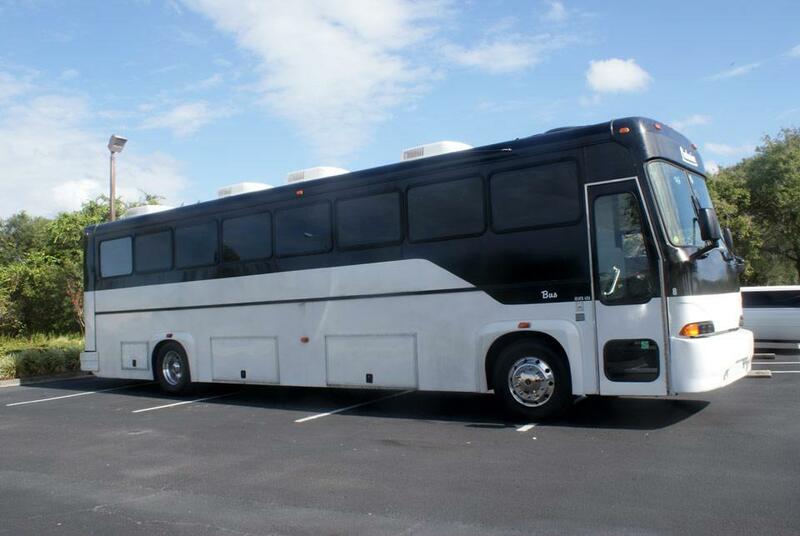 The 40 passenger “Limbusine” features exquisite black leather seating, dark hardwood floors, restroom facilities, in motion satellite, DVD/ CD player, a great sound system, full lighting and fiber optic package, privacy curtains, and several convenient wet bar areas. This versatile bus is great for large party groups, corporate charters, tailgating, and much more. Also, because of its design, the 40 passenger bus is great for longer trips. No other vehicle can offer as many amenities and comfort for so many passengers than our Limbusine. Contact Orlando Florida Limousines today for rates and availability.